When you’re ready to purchase your next vehicle from LaGrange Toyota in LaGrange, GA, you have a couple of payment choices. While one of the fastest ways to pay for a new vehicle is to pay cash up front for the entire cost, that option is rarely viable for the majority of car shoppers. Most auto buyers have to decide whether to lease or finance their car. If you’re making this decision now, we’ve created a quick comparison that can help you out. The main advantage of leasing your next automobile is flexibility. Because lease payments are usually lower than many loan payments, you can choose higher end trims of the model you want. Lease terms usually last from two to four years, and you’re able to also choose what mileage. Most leases give you 12,000 or 15,000 miles per year; however you can buy more miles at signing. Mileage is crucial when selecting your lease, as overages will add up when the lease is up and could leave you with hefty fees. Because you don’t own the vehicle, you can’t make any modifications to it except for repairs and routine maintenance, but since most autos are under the manufacturer’s warranty for the length of the lease, you can have peace of mind that issues will be taken care of. When your car lease is up, you once again have several options – including returning, buying, trading, or selling the vehicle or arranging for another buyer to purchase it. The main advantage of financing a vehicle is ownership. Yes, at four to six years, loan terms are most often longer than lease terms, and the payments will more than likely be higher than a lease payment. However, as you make payments on your own, you build equity in the automobile, and then when your loan is paid off, you will own that vehicle. Take that monthly payment to save for a down payment later on, and since you own your vehicle, the value of that auto can add to that amount. The two most important things you can have when financing a car, truck, or SUV is a great down payment and a great interest rate. The finance team at LaGrange Toyota can help you with the latter of those two with our competitive rates direct from the manufacturer. Contact us today at (706) 222-1197 to talk to someone today, or visit us at 1221 Lafayette Parkway LaGrange, GA 30241. 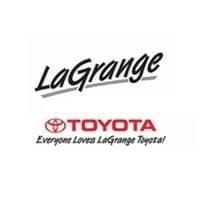 No matter which option you choose, LaGrange Toyota is here to help you!